RIGHT SPEAK: Pelosi Thanks Illegal Immigrants For Breaking The Law, Says U.S. Owes Them ... "We're in your debt..."
Pelosi Thanks Illegal Immigrants For Breaking The Law, Says U.S. 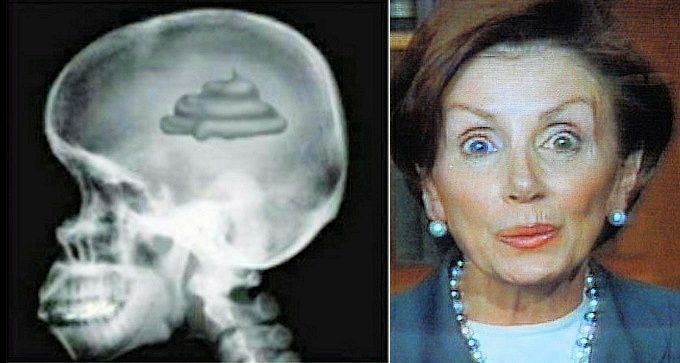 Owes Them ... "We're in your debt..."
When she took to the House floor on Wednesday for a filibuster-style speech, House Minority Leader Nancy Pelosi thanked illegal aliens for having the "courage" to bring their children illegally into the United States. During Pelosi's remarks, she portrayed the parents of "Dreamers" as victims who have had to endure much "risk" to bring their families illegally into the country. "I say to their parents: Thank you for bringing these Dreamers to America. We're in your debt for the courage it took, for you to take the risk, physically, politically, in every way, to do so," Pelosi said.